How much longer must Maine be the ‘tailpipe of the nation’? In my 30-odd years working as a family physician in eastern Maine, I’ve seen too many cases of asthma. 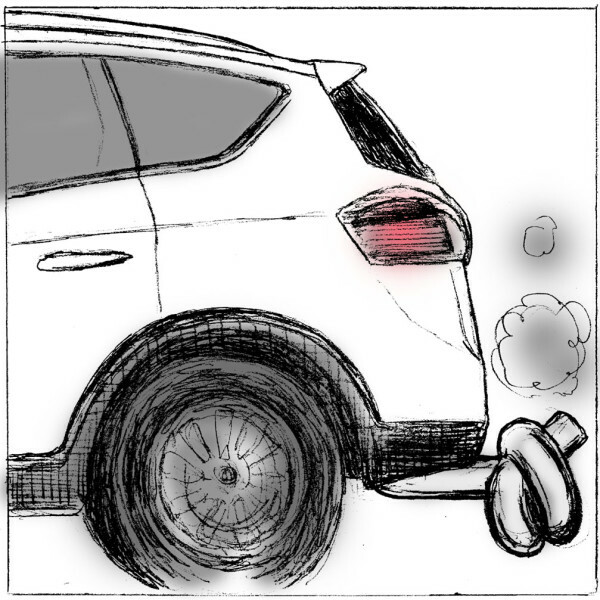 One in nine Mainers, more than 146,000 people, suffers from asthma, higher than the national average in spite of having no large cities where asthma-causing pollutants from vehicle emissions are highest. The U.S. Environmental Protection Agency’s new ozone rules can help all of us in Maine breath easier — but they have to be implemented in a timely manner. Some in Congress and the petroleum and trucking industries are trying to stop these rules, leaving our communities breathing unhealthy air. Did you ever notice that the prevailing winds come from the west? Environmental pollutants carried by those same winds lead to high levels of airborne particulates, soot and ozone, making Maine the “tailpipe of the nation.” Every day the new ozone standard is delayed is another day that air pollution intensifies the conditions that lead to respiratory disease. Even at low levels, ozone can exacerbate pre-existing respiratory diseases, such as chronic obstructive pulmonary disease. As people age, their bodies are less able to compensate for the effects of air pollution, aggravating heart and lung disease. This forces visits to health care providers, and increases hospitalizations and even death. In the rest of us, pollution decreases work and exercise capacity, can cause shortness of breath, persistent cough and increased susceptibility to respiratory infections. Implementing the ozone rule will go far to reduce adverse health effects. EPA estimates that by 2025, the ozone rule will result annually in 750 fewer premature deaths, 320,000 fewer asthma attacks among children, 330,000 fewer days of missed school, 65,000 fewer missed workdays and 1,400 fewer asthma-related emergency room visits — and that’s in Maine alone. Asthma costs Maine an estimated $14.3 million in lost productivity and nearly $173 million in direct medical costs each year. EPA predicts that by 2025, compliance with the new ozone standard will cost the nation (excluding California) $3.9 billion. But this cost of compliance will result in annual health care savings of between $6.4 and $13 billion. That’s between 1.6 and 3.3 times more savings than costs. Carbon-cutting policies will simultaneously reduce levels of ozone, fine-particle pollution, cancer-causing diesel soot and reduce global climate change. The new ozone protections need to be enacted without further delay. The concentration of ozone is highest on the hottest days of the year, and summer is right around the corner. The longer we wait, the harder it will be to lower pollution levels and protect our health. Dr. Peter Millard is a family physician and epidemiologist. He also is an adjunct professor of public health at the University of New England and practices at the Seaport Community Health Center in Belfast, which is affiliated with Penobscot Community Health Care.